This beautiful new inverter is a modders dream! Not only is does this combine the function of two inverters in one but, it is housed in a gorgeous aluminum casing that looks attractive and modern in any showcase system. The inverter can be mounted using a double sided mounting tape like 3M-4010 or it has slots to use screws or nuts and bolts to mount to the chassis in any position. 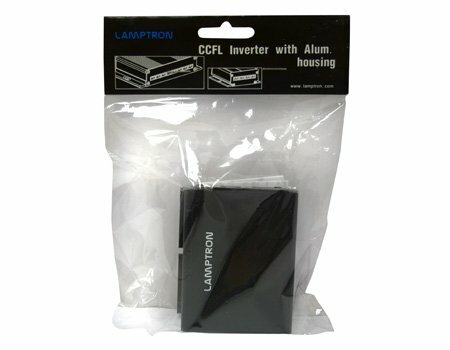 This can be used in place of your other inverters or you can order optional cable assembly and build your own Elite lighting system with your choice of bulbs! There will be a 15% re-stocking fee for returned or refunded products. Returned retail packaged product opened by the customer is non refundable. We will replace any Dead-On-Arrival (DOA) item if you contact us within 2 weeks from the day you receive the merchandise. There is a Warranty of one year after the product is received. Warranty is VOID after one year or if product is damaged by any user misuse.